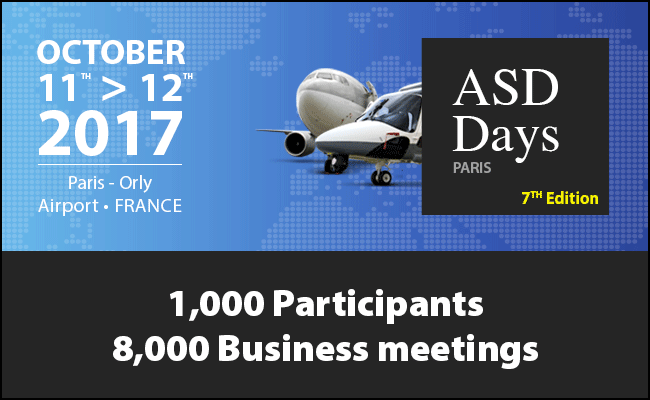 From 11th to 12th of October, Premek Hi Tech will attend the ASD Days in Paris. The growing focus towards the aerospace and aviation sector has led Premek Hi Tech to consider a series of specific events and exhibitions with the aim to expand the market share in this sector. Thanks to the ambitious plan of investments in the period 2015-2017, a series of technical updates have been implemented in order to increase the level of innovation and automation in the production departments. Following the technological upgrading of the milling department, the company is now able to manage complex 5 axis machinings of bigger dimensions, with machining dimensions of 1050m x 800m x 600mm. The complete renewal of the workshop floors and the new layout, have created the conditions to identify specific areas in the workshop for the most delicate machinings, for precision assemblies (also in Clean Room) and for finishing operations, even more requested in this sector. Starting from September, it is also planned to implement all of the machines with a series of sensors directly connected to the ERP software that allows the company to align with the new Industry 4.0 dictates.